There's more to a happy retirement than just sleeping in and not having to go to work. In fact, if you want to capitalize on the time and money that's suddenly available to you, you'll need to roll off the couch and spring into action. 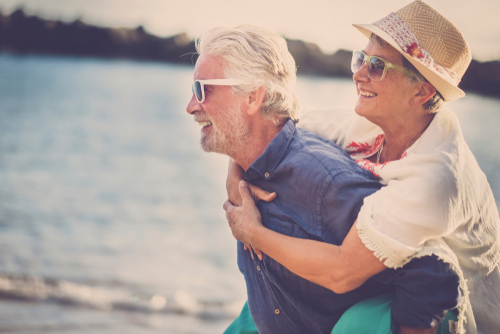 Here are six tips for enjoying your retirement to the fullest! You've probably been dreaming about retirement for a while. What always features in your fantasies? Some people can't wait to buy a vacation home on a tropical beach; others are just eager to spend more time with the grandkids. There's no right or wrong answer when it comes to what you want out of your twilight years; you just need to determine your goals so that you can plan accordingly. For example, if you want to travel, you'll need to consider the logistics of budgets, schedules, tickets and transportation. It's finally time to enjoy that 401(k). Before you whip out your credit card, however, remember that your retirement fund isn't a sudden windfall from the lottery. You still need to pay taxes, and you'll still need to use it to pay your monthly bills. Get out your calculator and start budgeting. What's your new limit for monthly expenses? Do you have any debts that you need pay off? What are the exact terms of your retirement plan? Studies have shown that regular physical activity can make all of the difference in senior health. Not only can it help to offset age-related issues like osteoporosis, but it can also keep your mind sharp. Exercise releases chemicals in the brain that contribute to cognitive function, so you can help your focus, attention and memory just by taking more walks or signing up for a swim class. You don't have to become a master athlete. You just have to keep moving. It can become a source of frustration and resentment when your friends are still working while you've decided to retire. Instead of trying to force your schedules to align, think about expanding your social circle with other retirees. You don't have to drop your old friends, but you don't have to depend on them to fill your calendar, either. You can enjoy a happy retirement with other people who aren't working 9-to-5. Some people like to downgrade their home after the kids go to college. Others want to sell or pass down their property and move into a retirement community. It's up to you to decide what to do; you might not want to relocate at all. It's worth thinking about, however, especially if your retirement fund is a bit thinner than you'd like. You can save a bundle on things like home taxes if you're willing to make a change. A bucket list is a list of things that you'd like to do before you die. It can be difficult to cross them off when you're burdened by work and family commitments, but once you retire, the world is yours. Swim with dolphins. Finish your novel. See the pyramids. A happy retirement is one where you're enjoying yourself, so go ahead and see, hear, taste and experience the things that you've been dreaming about from your cubicle for so long. These are just a few tips for a happy retirement. You've worked hard, so you deserve a fun and fulfilling life now that you're free from the shackles of the daily grind. Good luck! Also, here's a great list of the top 50 inspirational and funny retirement quotes.